Huawei launched its latest tablet, HUAWEI MediaPad M5 lite. 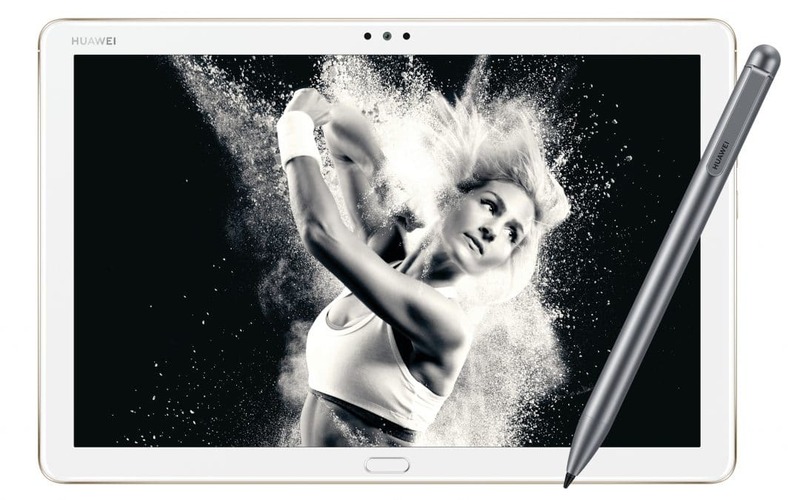 This model aims to bring users immersive entertainment experience, with the new M-Pen lite stylus to further strengthen the tablet performance. The tablet boasts a wonderful Full HD IPS screen supporting 1920 x 1200 pixels to offer good sharpness through ClariVu 5.0 the industry-leading display enhancement technology. The technology adjusts the contrast and color saturation based on intelligent algorithms, targeting both the video playback and image browsing scenarios for vivid display. For audio, the HUAWEI MediaPad M5 lite pairs with quad speakers on this 10.1-inch model. This model co-engineers with the world-renowned Harman Kardon brand to deliver professional theater quality sound. Harman Kardon’s “golden ear” acoustic engineering team also contributed in the surveying and testing process, in which the team spares no efforts to meet standards for high quality audio and ensures that the best audio experience will be delivered. Furthermore, the rich and mighty 3D surround sound effects increase the impact and blow you away with customized smart power amplifiers. This Huawei’s Histen 5.0 audio enhancement technology reduces the external noise power as well as improving the low-frequency sound effect. The M-Pen lite stylus has an exquisite metal body with a balanced weight which gives you a very smooth hand feel. With 2,048 layers of pressure sensitivity, users can jot down notes or mark up an email very easily. The silver gray metal stylus has a vintage quality of its texture. Whether you attend meetings, or stay at home, this stylus will suit and manifest your fashion taste. The thoughtful design of stylus’s clip prevents you from losing the pen accidentally. We understand children are also frequent tablet users. They often watch too many cartoons or are too obsessed with games, which may directly affect their eyesight and learning progress. As a result Huawei’s MediaPad M5 lite takes into account the scenarios in which children use tablets. With this Children’s Corner, you can set limits to your child’s usage and customize the content you make available. Besides the parental control feature, HUAWEI MediaPad M5 lite offers 5 enhanced eye-comfort modes to protect your child’s eyesight: Optimal Distance Reminder (provides smart reminders when the M5 lite is less than 25cm from the face), Posture Guidance (provides reminder for your child don’t read the tablet when lying down), Intelligent Light Adjustment, Blue Ray Filter and Usage Time Control. The HUAWEI MediaPad M5 lite is powered by a powerful 8-core processor for peak performance supporting gaming, web browsing or catching up on emails. EMUI 8.0 ensures a clean and user-friendly experience. A 7,500 mAh long-lasting battery which is augmented with HUAWEI QuickCharge technology. The HUAWEI MediaPad M5 lite is available with a RRP of R5999.